Cloud service providers usually offer IPsec VPN services to tenants by deploying the software IPsec gateway on the virtual machine. However, the current software IPsec gateway solutions cannot make full use of the allocated multi-core virtual machine resources and unable to meet the performance requirement of tenants. In order to optimize the IPsec gateway performance, the flow processing load must be properly allocated to multi-cores considering the multiple dimensions of load to improve the throughput of IPsec gateway. 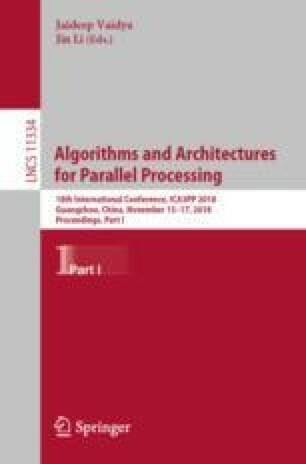 In this paper, we propose an optimizing scheme which separates the encryption and decryption computation from the packet forwarding process in the IPsec gateway, and implements fine-grained network flows scheduling in parallel processors. Furthermore, we present an adaptive load balancing algorithm based on quantifying the load of each processing core in real-time. Experimental results show that the performance of the IPsec gateway has significant improvement. This work is supported in part by the National Key Research and Development Program of China (Grant No. 2016YFB1000304) and National Natural Science Foundation of China (Grant No. U1636208).